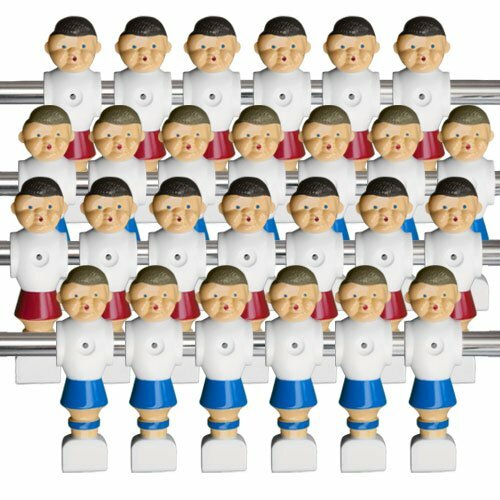 If you need replacement pieces for your foosball table, these old-style foosball men are the ideal solution. Each set comes with 26 men, thirteen red and thirteen blue. Mounting hardware is also included. The men fit 5/8" standard-size rods snuggly and feature grooved feet with a rounded toe design. The grooves in the feet help make a connection with the ball and promote better shooting. Each man measures 4 Inch tall. These are great replacements for existing pieces that have become chipped, broken or worn with prolonged use. Rods are one of the most important (and expensive!) components of any foosball table, so make sure you choose yours wisely. These heavy-duty steel rods should do just fine. 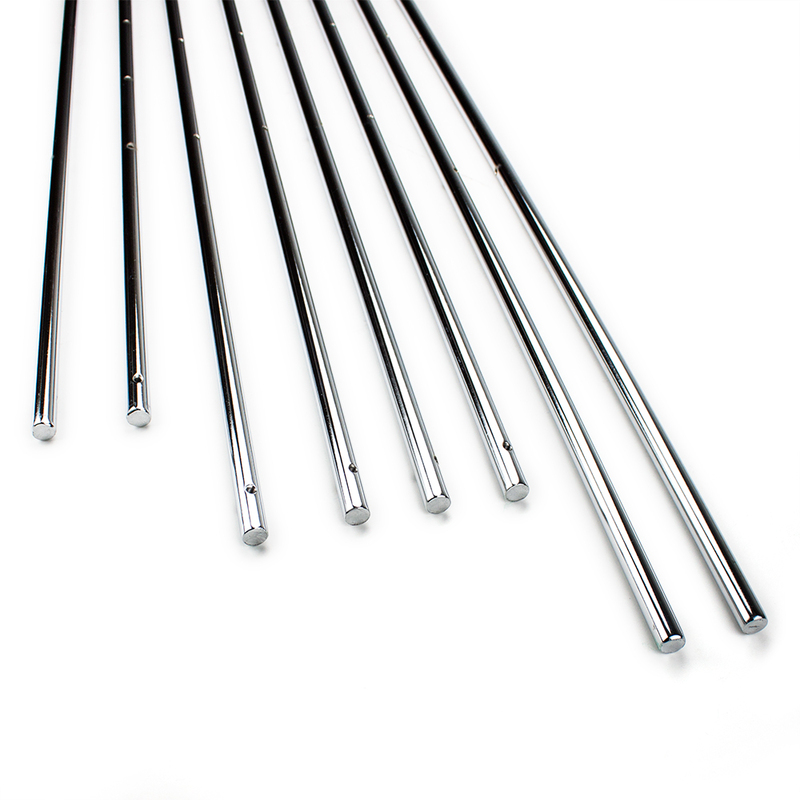 With a standard 5/8" diameter, these rods should fit almost any foosball table made by a popular manufacturer. You may be wondering what the difference is between solid and hollow rods. It's actually pretty significant, and will affect how your table plays. Solid rods like these are heavier, more sturdy, and will generally last much longer. You won't have to worry about solid rods bowing after years of heavy use. The general trade-off is ease of manipulation. Hollow rods are much easier to push, pull, and spin, which will make your foosball men feel a little more nimble. However, hollow rods can become warped through heavy inappropriate use, and might need to be removed and reshaped from time to time. Generally, with steel rods, the warp won't be significant and is easily corrected. 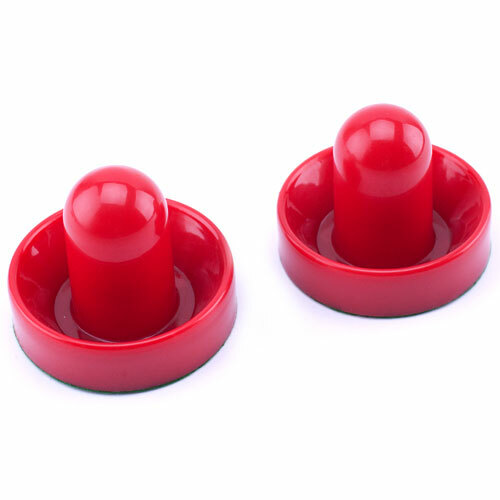 If you need replacement pucks for your air hockey table, look no further! This set of two pucks is perfect for any game room or man cave. Each puck is red and has a 2.5 inch diameter. If you need replacement pucks and paddles for your air hockey table, look no further. 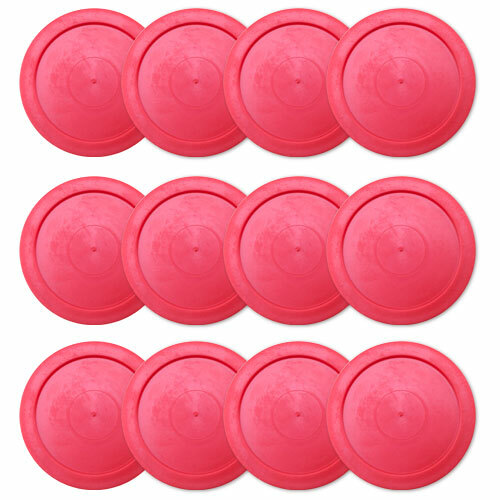 This set of two replacement air hockey pucks and six paddles is the perfect solution! 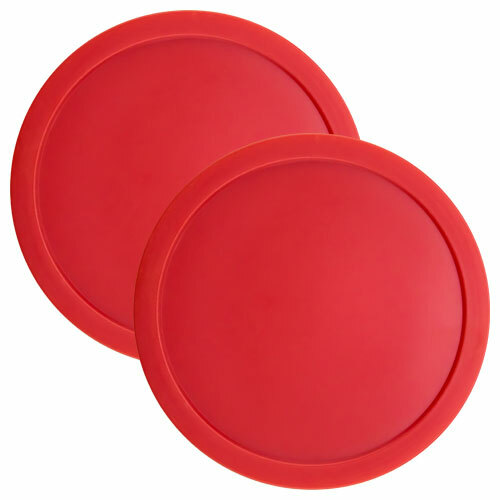 If you need replacement pucks and paddles for your table-top air hockey game, look no further. 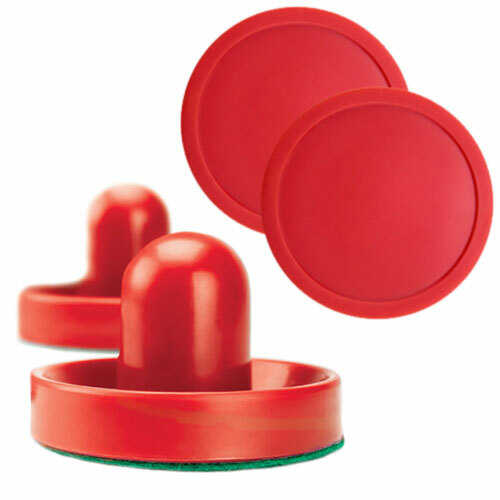 This set of two replacement air hockey pucks and two paddles is the perfect solution! 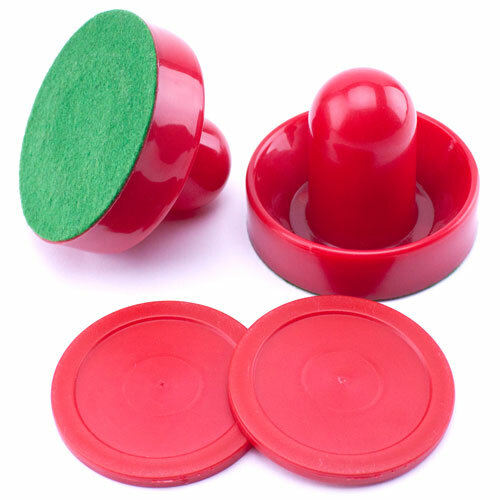 If you need replacement pucks for your table-top air hockey game, look no further! This set of two pucks is perfect for any game room or man cave. Each puck is red and has a 3.25 inch diameter. 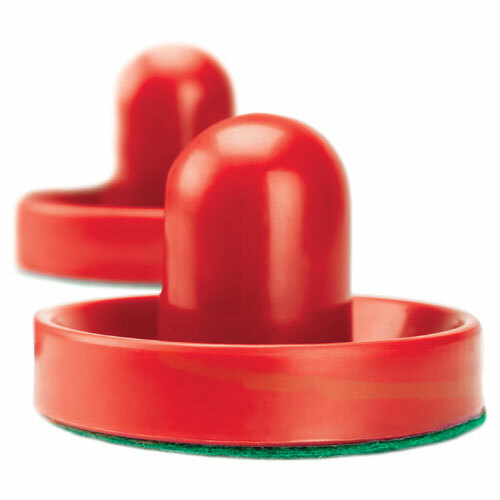 If you need replacement pucks for your table-top air hockey game, look no further! 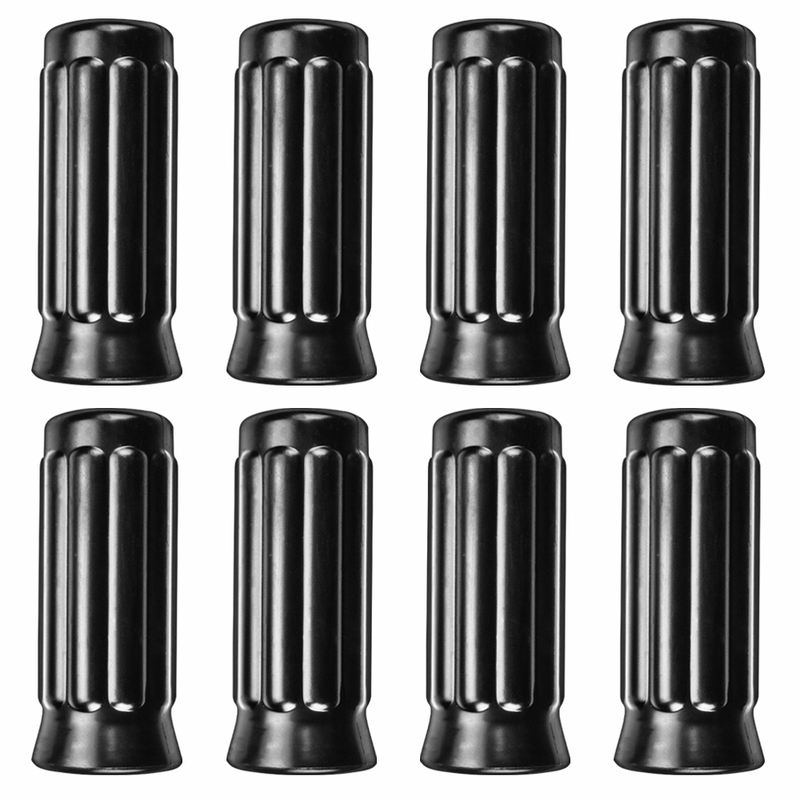 This set of 12 pucks is perfect for any game room or man cave. Each puck is red and has a 3.25 inch diameter. If you need replacement sombrero-style paddles for your table-top air hockey game, look no further. This set of two red paddles is perfect for any game room or man cave. If you need replacement sombrero-style paddles for your air hockey table, look no further. This set of two red paddles is perfect for any game room or man cave. 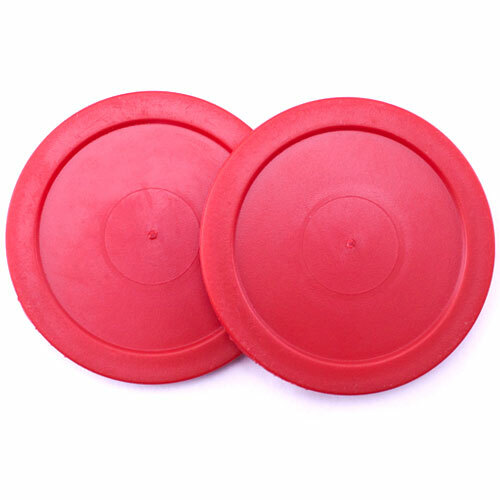 If you need replacement pucks for your air hockey table, look no further! 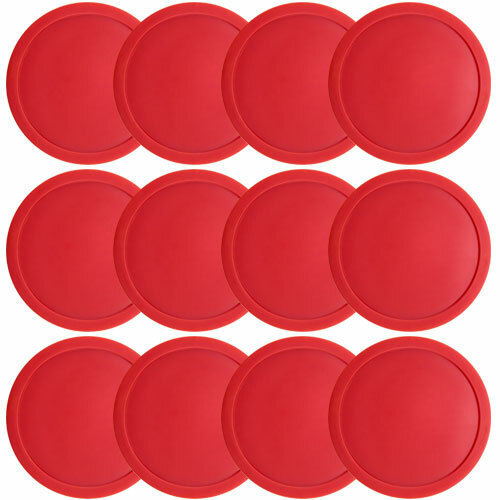 This set of 12 pucks is perfect for any game room or man cave. Each puck is red and has a 2.5 inch diameter.